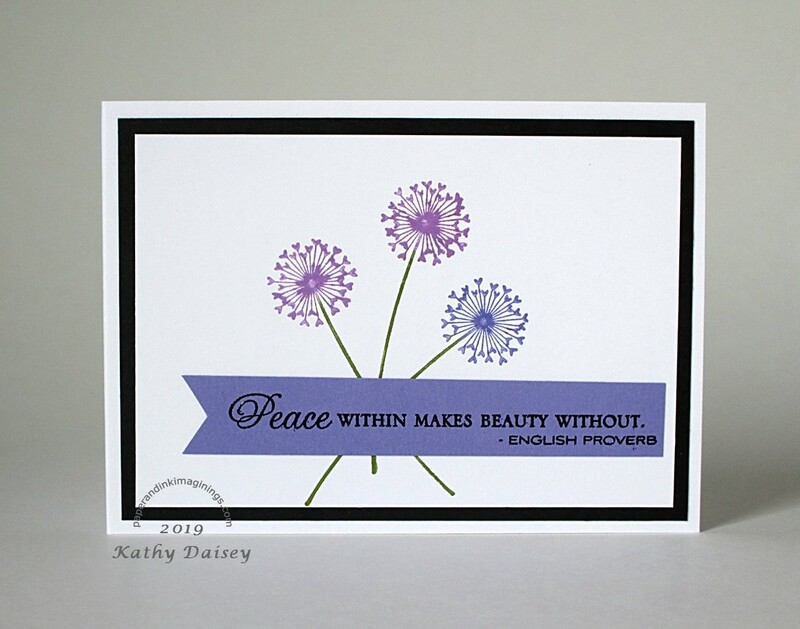 ANYWHO…seeing the other dandelion made me pull out my old Stampin’ Up! heart dandelion stamp. I used markers to color the stamp. And I omitted the blowing dandelion seeds on my stamp by not coloring them. Supplies: Stamps – Papertrey Ink, Stampin’ Up!, paper – Neenah Classic Crest Solar White, Stampin’ Up! Basic Black, Lovely Lilac (retired), inks – Stampin’ Up! Lovely Lilac (retired), Old Olive, Orchid Opulence (retired), VersaFine Onyx Black , embossing powder – Stampendous Detail clear. Categories: card, encouragement, note | Tags: card, Neenah, Papertrey Ink, Stampendous, Stampin' Up!, Tsukineko, VersaFine | Permalink.